Here are some Sisseh and I did on holiday....just a few teasers....more to come for those who are good. "Yesterday's gone. Love lead me on." If you like them, tell it me and I will make further. Love the screenshots Samuel. That silver shirt/jacket she wore on the Live At The Mill show was stunning!! 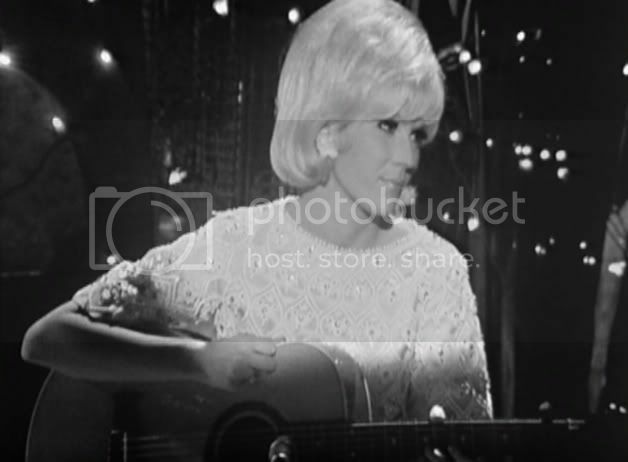 Here's some of Dusty and her guitar from the Live At The BBC DVD. Ah Sarah! Your famous b/w shots! Let's have more of them, please! I'm happy you like them ! If you have special request, I'm open. Wow! Now I see I'm really home. Gorgeous work, Samuel and Sarah. Great stills everyone, lets keep this going! These are from All Cried Out. I have these photos too. Yes, I took the last on Dailymotion, but in background screen, the bar at the bottom is not a problem. These are all stills taken by CAS, and I've put them on a slide show, along with others, all by Cas. Let's go the whole hog. Love to see these pics - all so super. Thanks to all of you for posting. All lovely work and it's great that we now have several members who have expertise in this area. Cas, I especially love those black and white close ups. Wendeh, why is that your fave -- is it the hair? Really like that last one Cas, I look at it and it's as if it were yesterday. Both of them looking so young and no longer with us. Wendy, do you prefer the Dusty look from the later years? All your fave's from Cas's frozen shots seem to be from the late 70's and onwards. Nothing wrong with that of course, just curious. Well on that first one Bosseh -it is definitely the outfit. It is so over the top LOL - good ole Dust, she was so theatrical, and I think that's what I love. 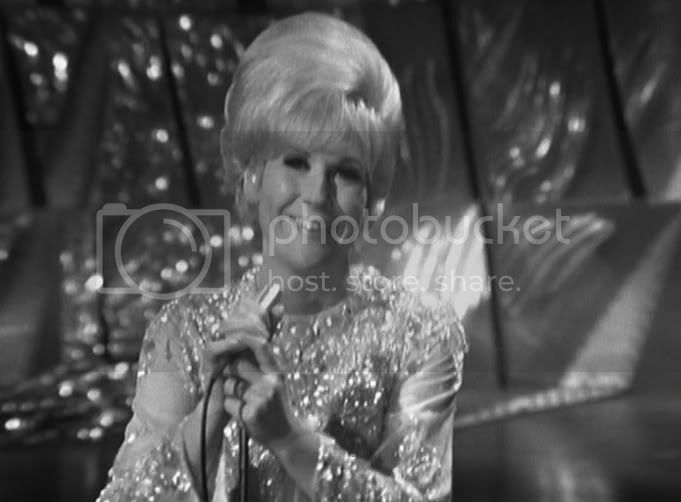 Dusty was the whole package I think, not just the voice, but the hairstyle, the mannerisms, the hand movements, the outfits. I think she was one of the first to realise this, and everyone that came after her, learnt that from her. There was a whole heap of female singers who could never have carried that off. I suppose her hair is really awful on that first one though, but the outfit is so outrageous that you don't notice her hair. Dust had a bad hair day that day for sure. Carole, yes I think I do prefer her later look, all the curly perms for example, all her messy hairstyles. I liked the bouffant look at the time, as we all had it, but I'm not so keen on it now, it's too neat and tidy. And I absolutely adore her look on the Nothing Has Been Proved DVD, I think she must have pulled out all the stops to get that look, and it was superb. She could compete with anyone. But I hated her look in her thirties mostly. Her twenties, forties, fifties were better I felt. Last edited by Hampson on Tue Jan 05, 2010 11:12 am, edited 1 time in total. 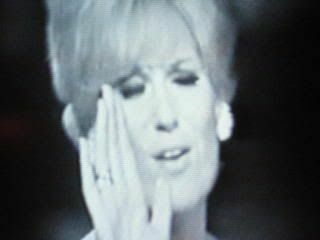 Yes Carole its a lovely one, such a sweet smile from Dusty, and so young looking like you say. It could have been yesterday. (No pun intended!) Dusty doesn't age, she was well ahead of the day in style and fashion.Thank you for the nice comment. Sharing a joke with John and Paul. I have other photos ! these last ones with the Beatles are lovely Cas. John was my fav, they all looked so sweet together and she seemed so shy when she interviewed them, but of course they were so playful and people never knew what they would say next. remember all those interviews Brian Matthew did with them they used to pull his leg all the time. Can't get enough of her can we ? all great, thanks everyone. Great pics again love them all, thank you. I'll try to keep this going! With special thanks to Samuel for the clip. Fab Cas, thanks! Still wonder what was going on - or rather NOT - between Moyet and Dust... Does anyone know? Her last live performance with Jools Holland,"Where is a woman to go" Alison Moyet one of her backing singers, interesting question here Cor.? as Alison said on Paul O Grady show she couldnt really believe this icon was on stage and I just think she couldnt look at her as she said she was terrified of messing it up as she hadnt been seen for so long and as it turned out it became Dusty's last live performance. Alison Moyet was known for her stage fright and shyness and I dont think it was anything other than that. There you go ,Liz got you out of that one remember her saying how much she thought of Dusty in another interview. Messing around with these ones today, what housework! All beautifully done and "dusted" as always Cas. Thank you for taking an interest ladies! Nice pictures Cas, yeah stuff the housework. What would you rather do ? look at these , dust or clear the snow ? oh thats a difficult question I will have to think it through and get back with my answer. Don't think I've posted these. This was a great show , the clothes, dancers. Welcome Mary. not clear but not too bad. Some various shots.. some from Just Dusty, some from Live At The BBC. Ahh see you've been busy Sarah - absolutely lovely. Thank you. Beautiful pics Sarah!...I love her smiles! Lovely stills Sarah, a treat for Monday morning. Lovely Sarah , so much emotion . and she looks amazing. Saying how beautiful she looks is superfluous really, but she looks so beautiful And all that emotion during It Was Easier, you almost don't need to hear the music to know what's happening. And could that be another words on the hand (not up the arm Lulu!) spot Thanks Sarah. Fabulous shots, Sarah, thanks so much! Also the stills from the German special are great, Cas! If we only had this in better quality...! Thank you so much Cas and Sarah. Hope you are saving some of those in high resolution for the 2011 calendar. Dusty never ceases to amaze and inspire. Messing around again last night, sorry i can't seem to get the pics bigger. Didn't sleep up very early Karen. Cas19 wrote: Didn't sleep up very early Karen. Same here Cas, hope you are ok ? Your pictures are good ! Particularly the first, the second, the third and the fourth. Thank you, just wish they were the bigger size, but the soft ware won't allow it for some reason, unless I'm taking stills straight from a DVD. Nice ones, Cas. Dusty is such a chameleon. Looking at Sarah's pics again, can I just say on top of everything else, doesn't Dusty have lovely arms. I took these photos of My Colouring Book on the old forum. Last edited by neonouille on Sun Feb 28, 2010 1:19 pm, edited 1 time in total. They look good Samuel. A nice size too. Its the mood I'm in! A young, happy and goony Dusty - lovely! Thats a lovely one Karen, its not so easy to get the shot you really want is it? Lovely stills Cas, Karen, Sarah and Samuel - I'll put some of these on our website if you don't mind. Can't let these go to waste can we now. Thank you in anticipation. Wend, I forget to say you in my PM: If you want particular pictures, you just have to ask ! neonouille wrote: Wend, I forget to say you in my PM: If you want particular pictures, you just have to ask ! Ok Samuel, many thanks for that. Yes Clive , she looks great , wonder what she was thinking ? ? That is a lovely shot of them both looking so young and fresh. They couldn't have had any idea back then that they would both end their days in Henley on Thames. Thanks Clive. Thought you may like these as much as I do...with thanks to Samuel. nice ones thanks both. I do like that dress,its a beauty. Wonderful pictures&! The third one has a typical Dusty pose.. Brilliant stills Cas - thanks. Lovely stills! Love especially the third one. Hey, I think I'll make it my FB profile pic! Thank you, I'm pleased you all like them, I know I do. Yes, magnificant pictures, Cas! Congratulations! Cas, I am stunned-- those are absolutely GORGEOUS !!! Thank you Nancy I am pleased you like them so much. They are not quite as sharp a photo as I'd like them, but yes lovely ones. These are superb Cas , how do you do this. Yes they are fabulous stills Cas - caught in time. I think the top one is my favourite, but they are all nice. Fabulous still, Cas, caught at the perfect moment! I think my faves are no. 4&5. Cor I love the first and last of these stills. Amazing photo sequence Cas, my favorite is pic #1. Have to watch it on DVD now!